​You have many rights as a consumer, but most people do not know what they are!You cannot be denied these rights, so we will make it easy and advise you of your rights with regard to your motor insurance policy.You have the right to use your own repairer!The right to use your own repairer is covered under the consumer rights directive 1993, The Association of British Insurer’s (A.B.I.) What was the Office of Fair Trade (OFT) the Financial Service Authority(FSA) which is now the FCA and the Vehicle Body Repair Association (VBRA/RMI) all agreed that the consumer has the right to choose! The Consumer rights act 2015 now supercedes it. EU law ensures, for competitive purposes, that every car owner has the right to freely choose any repair shop to provide services and repairs for their vehicle (see the Block Exemption for motor vehicles and the Market Court (2012:13)). Manufacturers are obligated to provide the information necessary for any independent repair shop to be able to perform these repairs and services. The Consumer Protection for unfair trading regulations 2008 and application 8 of 2002 enterprise act, prohibits unfair commercial practices including agressive “Steerage techniques” and misleading actions, these are action which may materially distort your economic behaviour. 2015 Insurance Act also stipulates prior to a contract occuring, the insurer has to make the insured aware that the contract fulfills the demands and needs of the consumer,and any adverse term or condition is brought to the attention of the consumer. This should have no material detriment to the consumer. To advise after the contract has occured any restriction’s in the consumers choice, or advise that you seek to reduce your contractural liabilities is a breach of the act. Do not let the insurance company tell you otherwise! We do recommend that you check out the bodyshop that you want to use, to ensure that they have the equipment and the qualified staff to repair your car to its pre-accident condition and repair it correctly to manufacturers standards. >YOU DO NEED TO CHECK YOUR INSURANCE POLICY! as you may well find that they want to charge a larger excess if you choose to use your own repairer. We will advise you how to arrange and possibly get around this. Click here to find out. The insurer will always try to get you to use their own repairer, this is not always in your best interest. You may well find that if you use your insurer’s recommended approved repairer that they will fit none original parts. This is only of benefit to older vehicles that may not be economical to repair otherwise. There are concerns these NON-ORIGINAL cheaper copy parts may not react in the same way in an accident as original manufacturer parts they are not the the same quality as the original , if you have a newer car, do you really wanted it repaired using non original parts?it may affect the warranty, say for example you had a non branded headlamp fitted after an accident, if not the same as the other , it could highlight your car has had an incident and devalue it. Using an approved repairer can be a good thing, they will have invested heavily to get the contract, they will have to have all the correct equipment to repair your car, and all the staff will have to be qualified to work on your pride and joy. A lot of these repairers are very good, and we have worked with, and have a good relationship with them. We have experience in managing repair networks, they have extreme pressure’s put on them to repair your car as cheaply as possible and work on something called “AVERAGE REPAIR COST”, it is in their interest to keep repair cost as low as possible or they get penalised by the insurer. It’s not suprising that corners are cut, and the quality may not be as good as using a repairer you have chosen yourself. YOUR INSURANCE POLICY will state ,that you should be put in the same situation you were in prior to your loss (ie repair your vehicle) “UPTO” ITS MARKET VALUE. So they should NOT be using non original parts unless stipulated in your policy. Below is a video from our friend Billy Csc Walkowiak Of Collision Consultants in Belmont U.S.A. in America, what they call Direct Repair Bodyshops, are what our insurance companies call their approved repairer network. The same issues raised in the video , are the same as over here..this is why you do not want none original parts on your vehicle. Thanks again Billy for permission to use the video. You have the right to choose the repair shop you want to use. You’re entitled to have your vehicle repaired to its pre-accident condition. By law, you’re only required to obtain one repair estimate. Insurance Approved shops are beholden to tight-fisted insurers. Vehicle insurers contract with providers to repair vehicles for a pre negotiated rate (think of it as managed care for sick cars). And your car could be the victim of cost cutting. Insurers have wired the shops to give them so many discounts, referral fees, Courtesy car, Vehicle Recovery and audit costs that, to stay alive, the shops often do the bare minimum or less. Consumers of Vehicle Repair, beware! To engage in legal proceedings may be around the corner.Statistically, a driver of a vehicle will be involved in an accident once every seven years. Therefore, there are things you need to know before you have that accident to ensure that the vehicle returned to you has been safely and properly re manufactured to pre accident condition.One of the first things you may discover is that the Vehicle repairer is NOT the stumbling block in getting your car repaired and returned to you ;THE INSURER IS! Understand that the insurer may not be your best friend, no matter how many nice, warm, fuzzy and feel good adverts are on the television or on the internet. The insurer’s Game is to make huge profits by paying out as little as it can possibly justify to get you back into your vehicle. The best way to do that entails separating you from the decision-making process as to how your vehicle will be repaired. And, of course, the act of dividing you from the repairer is fraught with many issues for you the consumer. Insurance approved repairer programs Vehicle insurance policy premiums are not based on any agreement by you to be a customer or client of a pre defined network of extremely pressurised cost/corner cutting vehicle repairers. ( A notable exception is AXA which does have in its policy’s the use of it’s Approved repair network.) As a result , your vehicle insurance premiums are based on the fact that you can and will take your vehicle to a repair facility of your choice in the unfortunate event of an accident. 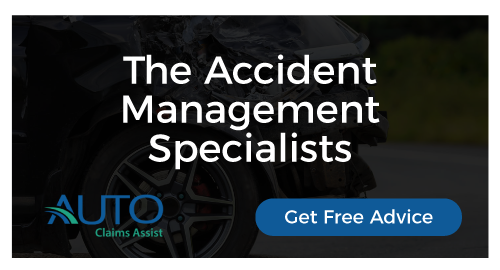 Once you have an accident, however, the insurer that will be paying the bill may try vigorously to force you into the vehicle repair facility that they have on there approved budget network even if the accident was not your fault. Don’t allow yourself to be pushed and bullied by an insurer through the door of there approved vehicle repairer unless you personally know the type of work that the body shop produces. No one from any government department will inspect your vehicle to ensure that it was safely and properly repaired before it is released to you and returned to the road. Many unsafe and dangerous vehicle repairs have been documented as coming from these poor pressurised low budget insurance approved body shops. That is not, however, to say that any vehicle repair facility participating in an insurers approved repairer program cannot produce quality work. It is simply a warning against fault or oversight to beware of what you may get if an insurer pushes you to its approved repair network. Don’t just Take it – Do Something! You are Entitled to have your vehicle safely and properly re manufactured to pre accident condition. If a Vehicle Repairer Doesn’t provide that, or if an insurance company is interfering with your ability to obtain a safe and proper repair, take action. Motorclaimguru can arrange post-repair inspection to ensure you did obtain a safe and proper repair. If the inspection reveals any issue , we will refer you to our legal team who will begin legal proceeding’s to remedy your poor or unsafe repair. Consider naming and shaming both the vehicle repair facility and the insurer paying for the repair,as the insurer exercise enormous influence on how the vehicles are repaired if you have been pushed through their approved repair network. It is your car, it is your choice where you vehicle is repaired, by the vehicle repair facility that you choose. Now you may well think , this is getting very complicated and hard to understand, it can be very confusing for someone not in the industry, and that is the reason MOTORCLAIMGURU exists. Let us take all the stress and hassle away. and get the best settlement for your vehicle.